One of the best on the market, this 2 Story Downtown Penthouse Suite with a loft showcases craftsman finishes with a distinct influence from Greenville's sister city, Bergamo Italy. 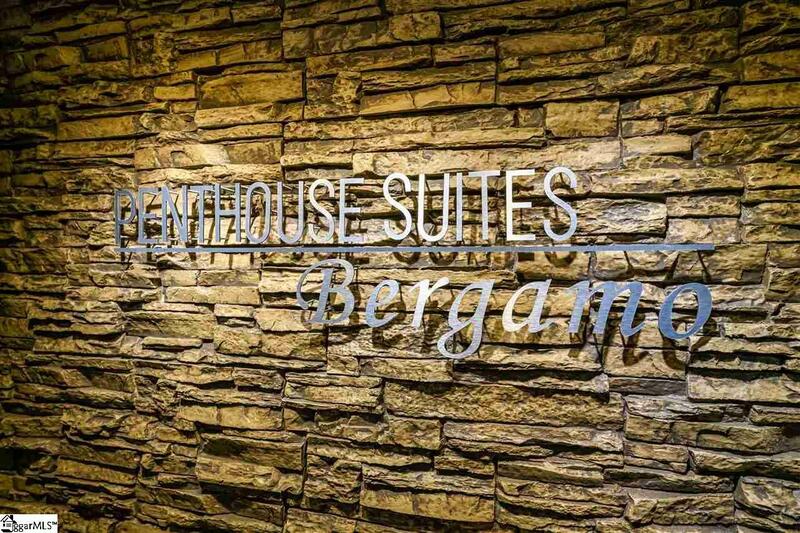 This luxurious unit offers a convenient, extravagant lifestyle at an affordable price. New Price!!! New Shower Installed, music, lights and steam shower. From the moment you step into Unit 608, it will take your breath away. The open floor plan attracts the eye to the custom pine beams with iron gussets extending through the spacious loft and master suite. The chef's kitchen sports exotic Alaskan-white granite countertops, absolutely gorgeous. All new top-of-the-line stainless steel whirlpool gold appliances. Nothing but the best for this home! 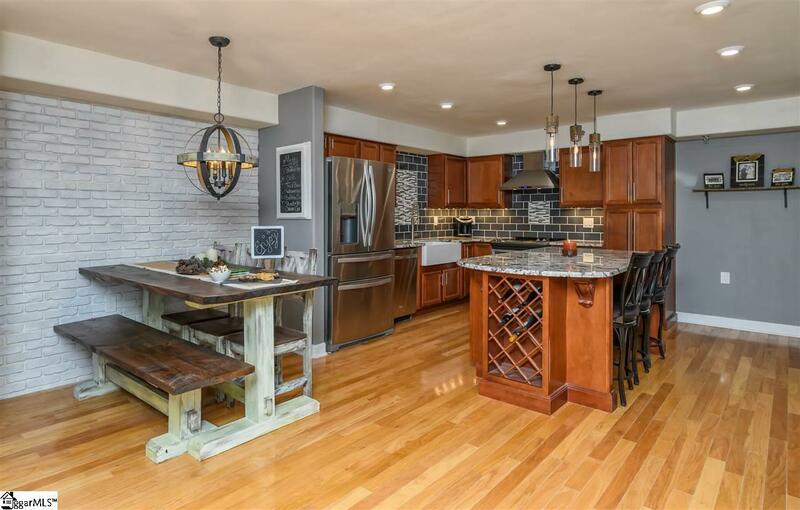 Built-in microwave, wine rack, and corbels accentuate the kitchen island featuring custom pendants with stylish Edison light bulbs. Did I mention you will love the oversized farmhouse sink! 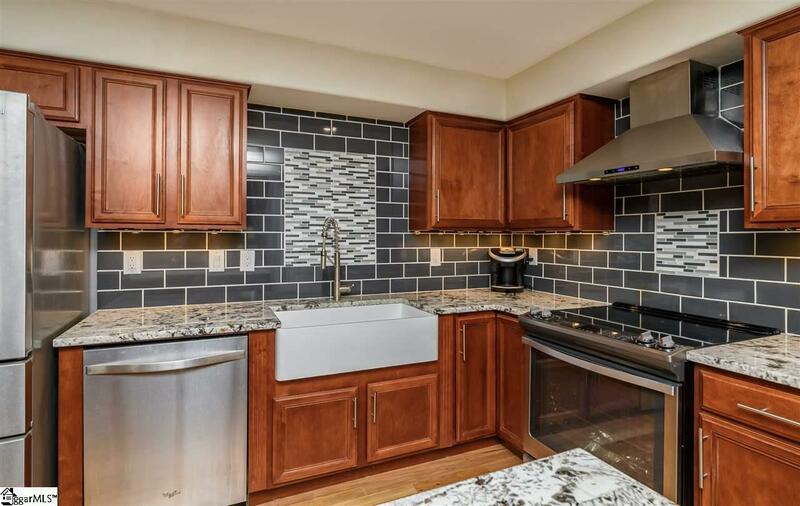 Trendy subway tile backsplash with inserts compliment the custom painted Chicago brick accent wall. This custom built kitchen is complete with pantry and dimmable LED lighting with rustic orb chandelier; stationed over the dining area. Throughout the home, all lighting has been replaced with eco-efficient LED fixtures and a new HVAC unit has been installed. The living area has plenty of character with bronzed lanterns that illuminate the tall ceilings. Venture outside onto the balcony complete with storage that overlooks the Alta Vista neighborhood. The downstairs level includes a large guest suite with a new LG washer/dryer closet. Moving upstairs, the loft is an entertainer's dream! Custom full bar with dimmable LED backlighting, handcrafted wood shelves, stainless steel refrigerator, and built-in kegerator, and incredible retractable home theater projector and 120-inch ambient light reflecting screen. Enjoy a movie night or a game of billiards on the 3-piece slate table. Artistic farmhouse door disguises an enormous storage closet with built-in shelving. You will notice the tranquility and quietness of this home due to the solid concrete slab construction which provides energy efficient thermal control as well as sound reduction. Stepping inside the master suite, the beautiful large window exposes the balcony and neighborhood below while letting in ample natural light. The spacious master has architectural ceilings with beautiful wood beams and comfortable carpet. Another farmhouse door leads into a nice sized bathroom with walk-in closet complete with built-in shelving. Seller will be installing a walk-in shower to match the grandeur of the home. 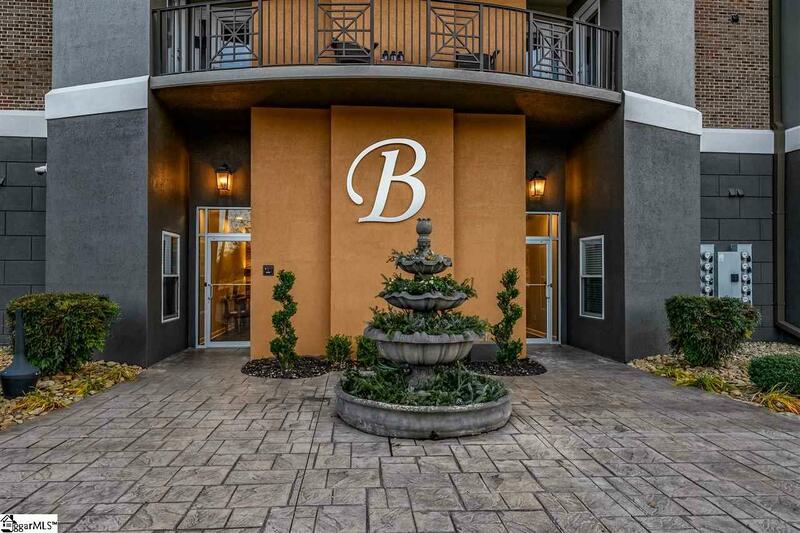 When arriving at The Brio, you are greeted with its prominent Italian architecture sitting grandly over the surrounding area while still flowing with the neighborhood. This timeless gated community displays a new color scheme with a remodeled lobby featuring stacked stone accent walls, serene water fountain, information center, and security system. The Brio has recently undergone a new roof system, new gutters, hallway renovations, pool area enhancements, uplighting. and landscaping upgrades. Building Amenities include a large saltwater pool with a cool-deck coating, fitness room, grilling area, dog park, keycard entry, security cameras, gated parking, and telephone controlled guest entry access. This home is in a desirable area with walkability to Augusta Road shopping including the new Harris Teeter, Bad Daddys Burger Bar, and other award-winning restaurants and retail outlets. Enjoy strolling through the prestigious, historic Alta Vista Neighborhood or walk to the booming South Ridge Development with soon-to-be-built BILLION dollar County Square development project. Falls Park, Cancer Survivors Park, and The Drive Stadium are at your convenience within a mile away. Hop on the free trolley that picks up at County Square to access and indulge our nationally-recognized downtown. For a more comprehensive list of nearby retail, restaurants, and attractions.